Want to learn more about money and get control of your finances? 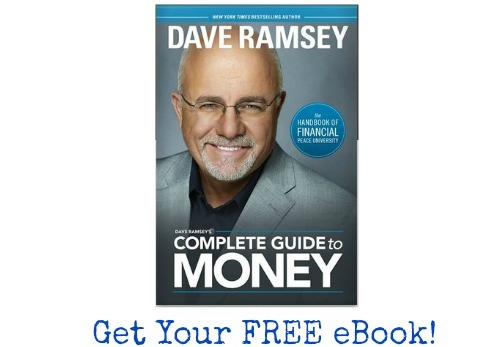 Dave Ramsey can help and Noisetrade is offering his book Complete Guide to Money for FREE. This ebook is full of guidance with over 300 pages of help and advice. This is also the handbook for Dave’s 9-week class, Financial Peace University. A tip is suggested if you download the book, but it’s still a great deal with a tip and all the money goes to support Young Life. You can also check out the FREE two chapter sample from Dave’s upcoming book “Smart Money Smart Kids.” Don’t miss this opportunity and make sure to tell your friends!